Many families enjoy decorating their homes for the holiday season. Over time, though, you can get stuck in a rut that relies on the same decorating techniques. 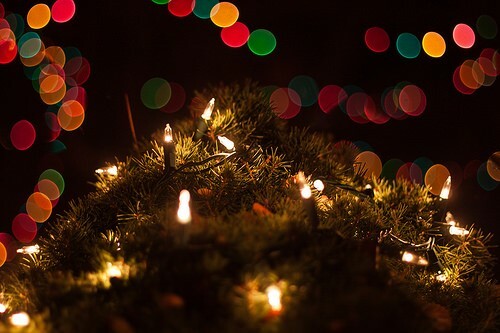 This year, try some new concepts that will highlight your home’s beauty with holiday lights. The trees in your front yard lose their majestic appearance after fall, but you can make them beautiful again by wrapping the trees in Christmas lights. It’s best to start at the tree’s base and work your way up. Depending on how tall the trees are, you might not want to climb all the way to the top. Starting at the bottom ensures that your wrapped trees won’t look someone removed their trunks. Depending on how many trees you have on your property, you may need to purchase several strings of Christmas lights. Shopping at Christmas Lights, Etc will help you save money on a huge selection of C7, C9, and LED Christmas lights. Most parts of the country can’t count on the weather to deliver snow and icicles by the end of December. You might have a white Christmas now and then, but it’s not a reliable occasion in most cities. You can create the illusion of a winter wonderland by hanging icicle lights from your windows and gutters. You don’t have to rely on the weather to make your home beautiful. You just need the right type of Christmas lights. Paper lanterns, also called luminaries, have become popular decorations for several holidays. This year, you can use them to beautify your home for Christmas. To make luminaries, you’ll need a few dozen small paper bags, a festive stencil, a bag of sand, and a light for each bag. Some people put tea lights in their paper bags. Tea lights offer an inexpensive way to make paper lanterns, but they can also pose a fire risk. Considering that you might still have dry leaves on the ground, you may not want to use tea lights in your luminaries. Small LED lights make an affordable, safe alternative. It only takes a little work to turn your bushes and shrubs into Christmas light balls. The DIY method requires little more than chicken wire, wire cutters, and LED mini lights. If you would rather avoid the hassle of making your own balls, then you can create a similar look by throwing net lights over your bushes. Unless you trim your bushes carefully, net lights probably won’t look like Christmas light balls. Still, you’ll get to turn your shrubs into beautiful decorations that show off your landscaping. Add some extra pizzazz by using multicolored LED net lights. Christmas is the perfect time to make the most of your home’s beauty. With a little effort and ingenuity, you can transform your house into the kind of home that attracts viewers from all over the area. You’ll know you’ve done it right when you have a line of cars down your road. Awesome post. Thanks for share that.